As I mentioned in my previous post, I have been working on seed starting tomatoes, chilli and egg plant. I have been recording information on that at every possible stage. I sowed them on 12th of October and we are 15 days from that point now. First I will go over the varieties I planted and then the details on each of them. This cherry tomato is an indeterminate variety. So It will reach more than 6 feet in height and will keep beariing fruits throughout the year. This is another indeterminate variety of a normal sized tomato. Wanted to grow indeterminate variety this time hence this. These varieties are not really meant for Container growing. But hey, what the heck, Lets break some rules. I have already made arrangements for the containers. This time I am going for huge 20Litre Paint buckets and since these fellas grow as tall as i am .. I have bought some stakes as well. This is a determinate variety that was loyal to me lasttime by its amazing produce in container, so included that as well. This is the variety that got the name egg plant for brinjal. This is a F1 hybrid variety. This one is a long variety from Indam. Chilli plants are perfect for a container and trust me! if you have one plant, you will never have to shop for chilli and everytime you need one, you have a few that you can pluck from the plant and use it. So Let me end the text here and let the pictures speak. Bottom right- Need i mention that? 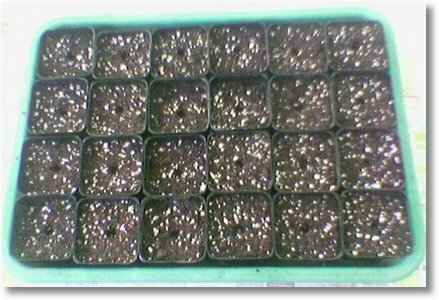 The medium I used to start these seeds are peat + Perlite ( in the ration 3:1). I didnt add any fertilizer to the mix. The plan was to fertilize the plants with a weak solution after they show true leaves. 19th October: 7 days later they peek out. 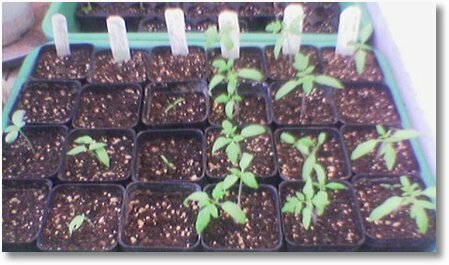 From the right-left Indam Rupali, Cherry tomato, Indam Naveen, Chilli, Eggplant, Zinnia. 27th October: 15days after it was sown. Tomatoes were the first, then came zinnia and later egg plant, then comes the chilli finishing last. 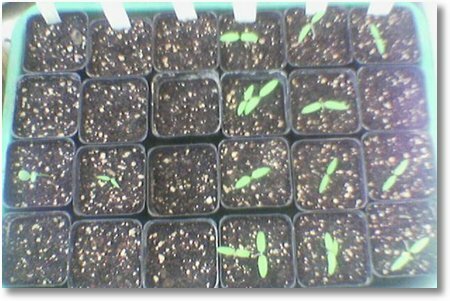 Tomatoes are having a set of true leaves and they will remain in this 2.5″ square pots until they are ready to be transplanted into 20L paint bucket. This is what I have been doing last couple weeks. In the next couple of weeks, these seedlings will grow and more work to pot all of them into bigger pots. just made a resolution [ ahead of new year ] that i am not going to dabble in any more gardening – specially after a gardener i employed killed all my hibiscus plants and then some….. but now on seeing your photos , i am again tempted..
next resolution – no more gardeners , i was doing quite well on my own ..maybe a little bit of vegetable gardening since i have a lot of empty pots now…. is miracle gro available in chennai – i still have abt 3 rose plants left…. Its been a long time since your last post. Its sad to hear that you lost your plants. I can totally understand that feeling and to motivate you.. hey you just lost your plants not the passion!!.. It is even more irritating when a gardener who is supposed to take care of your plants kills them. Whenever I ask lot of tips and ideas from many nurseries/gardners ,most of them are not even very sure of what they say. Then I realized I am better off googling than asking around. Good to know that mallis and parijatham are blooming. Yes some comfort indeed. When I initially started container gardening, I used to be crazy about annuals, and many shortlived plants. After a while, i am losing my craze over them and Now I like to do vegetable garden. Last week I harvested my spinach batch and it was creamy and fresh :D. Now I have the next batch growing. Regarding MiracleGro, here is the thing… Its a fertilizer (spike).from US of A. It looks like this. Unfortunately it is not available in India ( atleast my attempts finding them were futile). However, I am trying to see if i can get a slow release fertilizer with a dealer here in Bangalore. Slow release fertilizers are fertilizer with a polymer coating that disintegrates over a period of time say 3 months. So you feed the plants once and forget it for next 3 months. Interesting? So anyway I will let you know once I get it. I wish you good luck to get your garden back to shape. thanx for the comforting words…as you say i had been farely successful on my own with inputs from fellow gardeners …but due to some time constraints i thought the gardener could do the work of changing the soil in all the pots..he used only cowdung and sand [ very little red soil] and i thought that he knew what he was doing…. alas ….after 10 days the results were there for all to see…..
now i am thinking of going in for arali varieties……. tell me when do you schedule time for the garden? in between juggling duties as a full time cook for the family, part time visa consultant and mother of 2 grown up kids , i find it quite difficult during the week days to even take a peek or gather the flowers…. Now that you mentioned Arali(Oleander), I have a variety with me which has a pink colored flowers and looks like its a dwarf variety. I will post a pic soon when it blooms. I had just pruned it last week. May be I will try to take stem cuttings and see how it fares. I feel dizzy when I read what all hats you wear!! !… you are already doing a great job. For me, my routine goes something like this.. i get up 6ish and spend time with plants for an hour or so.. sometimes more… I have flexi timings at work so it works out for me. Where do you buy plants in chennai ?. Well, seriously at those prices for cherry tomatoes, it is far wiser to sell them than the other way round. You seem to have your homework, or say the groundwork, pretty tidily done. I am quite curious to find out how things turn for you. mornings, in between household chores i take a peek at the plants and say hello….then again its only the weekends i can do some ‘serious’ stuff – rearranging the pots, literally sprinkling the fertilisers and hoping that watering will take care of the rest ..even this kind of haphazard care seemed to work better than what that gardener achieved.. serious gardeners would probably be horrified at my methods…. Been long since have seen updates here. I was curious about your spinaches and especially those cherry tomatoes. How’re they faring? Yeah, Its been a while. Travel and Work kept me busy all these days. I did lots of stuff in my garden, Its just that I didn’t post. Anyway, I broke my silence today and your comment motivated me to update the blog. Thanks for your motivation :-D.
IAfter seeing you plant pictures, I got more interested in the vegetable and flower home gardening. Where can I get the seeds for them? Can you provide some places in Chennai, with their contact information that will be greatly appreciated. Welcome to the world of gardening and I bet you are going have lots of fun. You can get seeds from shops in street parellel to Ranganathan street in Mambalam. Try there and let me know. Thanks GG. I hope you are refering the street which ends up in the vegitable market. I will try and update. Yes the same street. You can also get it in Horticulture Dept in cathedral rd. Check it out . I am not too sure. I can relate to what you are saying. Sometimes I sow seeds in a wrong way and wait for like really long time only to realize its a goner. I had always wished If i can get back the time i spent waiting on such things. Like you said “Live and Learn”. Hoe you remove the plant which comes out from seed from the mini pots & palnt somewhere else without disturbing the plant roots. I am new to gardening. This is regarding Yatin’s querry about transplanting seedlings! I had massive problems but have now found the solution. In fact in another blog I had requested your permission to write a guest blog and you had very kindly consented. I will be doing that very shortly with pictures and all. But just so that Yatin gets a quick response, the solution briefly is: Sow seeds in containers made of newspaper. When transplanting just put the whole thing—container and all—into the soil and water adequately! The paper rots in any case and the roots can grow out. This is not just a theoretical proposal. I have done it repeatedly and with all sorts of varieties like all types of gourds, okra, tomato & brinjal. This makes transplanting easy and 100% safe particularly when you are an amateur like me! If you grow your own chilis i would like to encourage you to visit my site and leave a comment and even write a article about your growing chillies experience. Thanks for dropping by and I liked your website. i am new to this site.but i became a great fan of you nafter readnig your blogs. you are doing a nice job.i have some doubts,i am having more than 15 roseplants in pots which has soil mixture(red soil+ cowdung +sand).Plants are doing good.but during this rainy season some insects are comming oout of the soil (worm,leach,milliped).I think its b’cos of the cowdung.now i am planning to shift those plants to plastic pots with new soil which has only red soil+mannure+sand or cocopeat.can you please suggest me some tips for soil mixture.Since i am keeping the pots in my balcony i don’t want those insects to get in to my room,Please help. 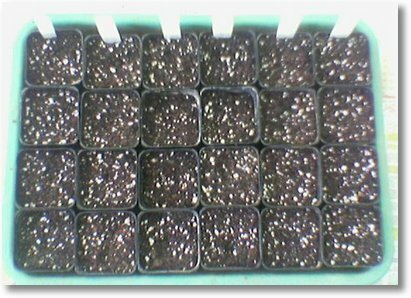 Since you are only growing flowering plants, you can also try soilless media i.e cocopeat. You can use artificial fertilizer this way there wont be any manure used. I dont think earthworm might come out of the pot. It could be the leech or milliped. You can use cocopeat+compost in equal ratio. In 2010 we grew several different kinds of tomatoes in pots on a back patio because of the poor soil quality in our neighborhood. When doing this you need to be sure the pots are large enough for given plants potentiall root growth and you will probably need to water them almost double as much as the soil tends to dry out. Also just before they ripen either protect them or harvest them as birds will ruin your plants as they love from the brigher colors. I am a new bee to gardening. We have a small garden with mostly flowering plants, and few patches for vegetables. But off late I feel the fertility of the soil has reduced drastically. I put diluted cow dung once in a month and home made compost from the pit. Do I need to apply the soil based fertilizer to improve the fertility once in a week? Will it not harm any plants? Please help me to start with what plants can I sow.Please mail me. if you ever decided to sell seeds of the cherry tomatoes kindly let me know. This is first time I visited your Website . Its Great ! Very very useful information you are posting for gardening. I am very much inspired and I will also start gardening a my place. Was inspired by your images to plant the coriander, let’s see when and how they come up. U HAVENT POSTED ANYTHING ABOUT STRAWBERRIES? , FOR THE FIRST TIME I AM TRYING STRAWBERRIES ,,, I LOVE UR BLOGS ,,,LOVE UR SERVICE …. THIS IS AMAZING AND INTERSTING.. CONTINUE UR SERVICE … AM VERY THANKFUL TO U .. AM VERY HAPPY TO READ UR POSTS.. EVEN SEEING UR GARDEN PICTURES , RELAXING MIND ….. I love your blog. Appreciate your patience in writing and sharing your knowledge. Can you put more details on setting up the soil for a roof top garden. I started reading about radishes and ended up here. 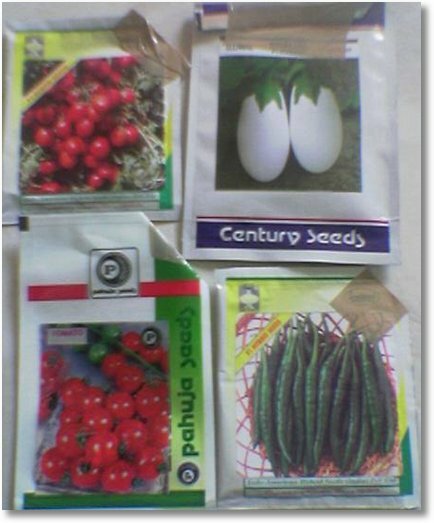 I love growing new variety of plants and therefore I order the seeds from ebay. some of those seeds sprout into unhealthy plants. but its good to know that u give away seeds and knowing the source from where the seeds are produced. I love your blog and lost track of time reading it. its a nice thing to see the various stages of life and the. tym taken by a plant to reach those stages. right now I’m some cauliflowers beefsteak tomatoes hottest peppers etc. I like experimenting on them too. I am a rookie to gardening. As a first step towards the getting hooked up to gardening, I tried planting a chilli plant in a planter. I got a sapling from a nearby nursery, the plant is bearing flowers but no fruits. Also, the flowers drop off. Not sure, how to fix this issue.